For the spring of 2014 we will begin on Saturday, March 1st, which isn’t all that far away. 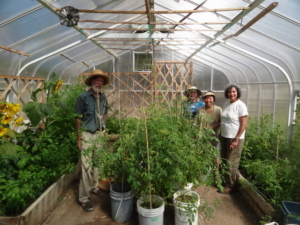 Everything grew really well last year and we harvested many varieties of tomatoes, basil, cucumbers, eggplant, peppers and more. Cantaloupes worked very well too. Last year we tried early carrots, pakchoi and peas before the main summer crops; something we should try again. We also grew artichokes at the greenhouse for planting at the Garlic Co-op site. The Greenhouse Group had good participation with new members joining throughout the season. Last year we started with a get-together to share seeds and discuss what we would want to grow which is something we will do again. After that we could start our first seed trays. No-one has to commit for the full year because our aim is about participation at any level of experience. The cleared beds in the Greenhouse have been planted in rye and clover cover crop for the winter. Last year’s harvest went really well and we should be very proud how 2013 turned out. Are you interested in eating more local food and cooking with wild ingredients? Come spring, stinging nettles are among the first edible plants to burst from the ground in the Pacific Northwest. In an intimate setting just an hour’s ferry ride from the mainland, join us for a fun celebration of local wild abundance on beautiful Galiano Island April 12th and 13th, 2014, and learn all about nettles—their health and nutritional properties, how to harvest them, and how to cook and preserve them. 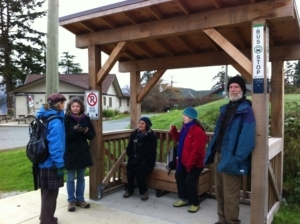 All events will take place at the South Galiano Community Hall, 141 Sturdies Bay Rd, Galiano Island. Early bird special!! Register before April 1 and get 20% off. Join us for the whole weekend and attend all three workshops for only $180*. *Plus $10 supply fee for Nettle Crafting. Registrants are responsible for their own accommodations. Discounts available at Driftwood Village. Foraging for food has never been more popular, and come spring, stinging nettles are among the first edible plants to burst from the ground in the Pacific Northwest. Join Cedana in learning how to create nettle products so you can enjoy the benefits of this healthy-giving wild plant all year round. 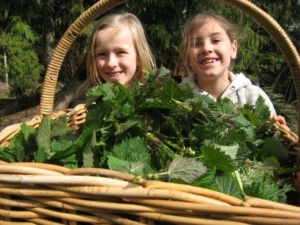 This one day course will give you experience in foraging, preserving and using nettles. You will practice your nettle gathering and harvesting skills in a walk in Galiano’s wild places, then we will return for some nettle tea. Cedana will discuss the different methods of preserving nettles for use later in the year, the use of nettle seeds, as well as how we can transform nettles into a variety of products to use. She will teach you how to blend a nettle tea and nettle gomasio, and bottle nettle vinegar. We will enjoy a delicious lunch together, based around wild local ingredients including nettles. Each workshop participant will also get to take home their own bag of nettle tea, nettle gomasio, and a bottle of nettle vinegar. Please bring: gloves, kitchen scissors, and a collecting bag (a cloth grocery bag works fine). All other supplies are included in the price. This foraging workshop will give you a fascinating insight into one of the best wild foods of the season. You will go on a woodland foraging walk with Dora and learn about when and how to pick nettles for a sustainable harvest and the highest nutritional value. You will also learn about other edible greens. We will then go to the South Hall and Dora will share some of her incredible “Green Bull” nettle drink, and you will learn how to make Dora’s Nettle Salt. We will enjoy a delicious lunch together, based around wild Galiano-foraged ingredients. Participants will also get to take home a nettle plant start, whether to start your own nettle patch in your backyard, or engage in some guerrilla gardening by planting your start in a clean wild place where it can grow unattended. Each workshop participant will also receive a container of nettle salt to take home with them. Please bring: rain gear, gloves, kitchen scissors, and a collecting bag (a cloth grocery bag works fine). Ever since childhood, the concept of plants as healers has captivated Dora Fitzgerald. 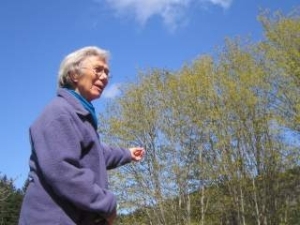 Dora has been a Galiano resident for 24 years and has focused her energies on learning about our native plants, and healing plants used in other cultures and locales as well. A self-taught herbalist, she has facilitated the Food Program’s monthly herbal collective for the last three years. 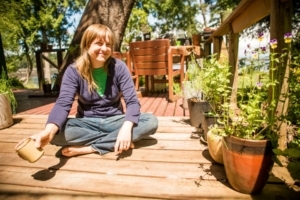 Her goal is to deepen the connection we feel towards the natural world and understanding the role of plants in helping us to maintain our own well being. Cedana Bourne is a Registered Holistic Nutritionist and has completed the Wild Seed School of Herbal Studies intermediate program. She is a wild food medicine forager, a gardener, a baker, a brewer and a fermenter who has spent the last few years immersed in learning rural rhythms on Galiano Island. 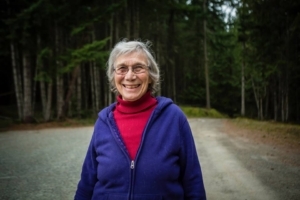 She has been working with the Galiano Food Program developing community food sustainability, and has had the delicious pleasure of growing and preserving much of her own food. Since completing her studies she has had the opportunity to study online with herbal teachers such as Sean Donaghue, and 7song. Cedana has trained and worked as a baker at Wild Fire Bread and Pastry in Victoria, True Grain Bread in Cowichan Bay, and Radha Yoga and Eatery in Vancouver. She has been teaching workshops on food and plant medicine for five years. If I told you that there was a fantastically tasty, nutritious and absolutely free foodstuff growing probably meters, and certainly no more than five minutes’ walk, from where you now sit, would I pique your interest? If I said it was easy to cook and very versatile, might I be whetting your appetite? And if I mentioned that it beats both spinach and broccoli for vitamins and minerals and protein, would that seal the deal? I am talking about nettles: nature’s well-armoured and plentiful offering at this otherwise rather sparse time of year. Sting-y as they are, these plants are a magical gift to anyone who favours cooking with local, seasonal, fresh ingredients. 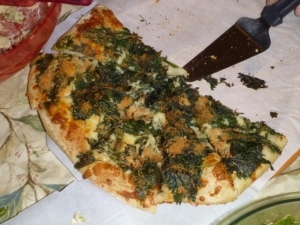 The flavour of nettles is irrefutably “green”, somewhere between spinach, cabbage and broccoli, with a unique hint of pepperiness: a sort of slight, earthy tingle in the mouth. If you like your greens, you’ll like nettles, I promise you. 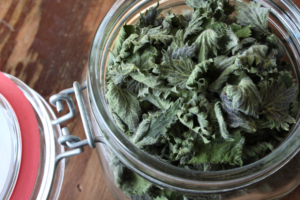 In this class we will learn about the many different ways we can cook nettles, how to remove the sting so that you can get all the incredible health benefits. We will make soup, nesto, nettle bread, nettle gnocchi and nettle tarts. This is hands-on class that includes cooking demonstrations, and recipes and is suit-able for all levels of cooking skill but a prime opportunity for those looking to develop their skills and incorporate wild foods into their diet. We will be cooking together, to create a delicious meal to share and converse around a communal table. Registration includes all ingredients for a meal we prepare in class, plus the collection of recipes from the entire weekend. 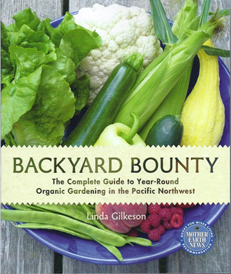 Renowned local food gardener Linda Gilkeson will be returning for a workshop on Saturday, March 29th, 10:00am-4:00pm at the South Hall. Make 2014 your best garden yet: Tips, techniques and troubleshooting for spring, summer and fall harvests. Sliding scale $25-$35. Light lunch provided. Pre-registration required. Please let us know now what questions or subjects you’d like her to address and we’ll get those to her in advance. This event is a great opportunity to get geared up for the start of the growing season, and get started on your seed shopping. The main hall will be full of tables from seed suppliers, nurseries, local farms, community organizations and other garden-related product vendors. There will also be local food vendors offering their wares. The main attraction is the seed exchange, where you can swap and share regionally-adapted seeds and help ensure genetic diversity. There will also be a roster of presentations from gardening experts. This year’s program includes workshops on pruning, soil health, seed saving, GE Free BC, and Salt Spring’s new Seed Library. The food program is organizing a group of local residents to travel to Salt Spring together to take part in the event (Saturday only). We will boat over from Retreat Cove and then take a taxi to the venue, in time to arrive for the 10:00am start, and we’ll return after 3:00. Total cost for roundtrip transportation and event admission will be $24. If you’re interested, reply to let Emma know. Demystify what a kombucha SCOBY is (or refresh your knowledge! ), what the health benefits are and how to brew it at home. In this class you will taste different flavours and ages of kombucha, get the recipe and brewing tips. Using a Salt brine and sugar ferment, learn how to transform fresh produce into tangy, probiotic-rich, pickled vegetables. Made the oldest-fashioned way; without any heat or canning! This class includes: Hands on practise making your own pickled vegetables to take home and start fermenting right away! Plus nutrition information about the benefits of fermented foods and Recipes.